I think i made a big mistake with a netgear dg834g. Few week ago i tried to upload a openwrt firmware using the neagear's web page but it hang my router. So i bought a max232 to solve this problem using serial console. I shown the firmware was bad ( i dont remenber the error message ) i tried to erase it before upload a new one using serial port. Is my router definitivily broken or i can do something to recover it ? PS: Sorry for my bad english, I'm Thailand. I hope you will underdand what i wrote. puttycom1.jpg​ (39.1 KB) - added by anonymous 6 years ago. 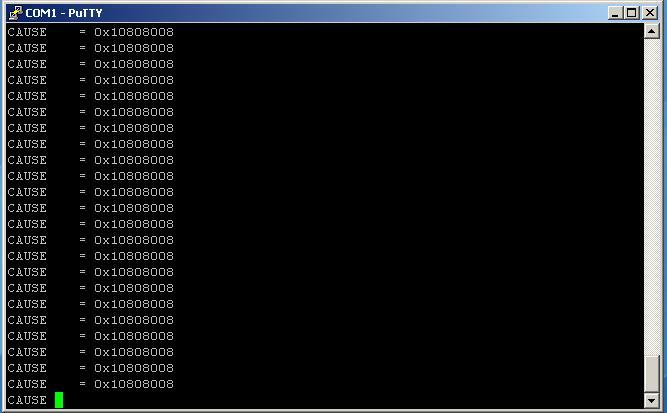 Seems like it may not be possible to recover it without JTAG. By the way, this is the bug tracker, it is not meant to be used for support requests, please use the forum for that instead.